2 games in 1 and a fun way to reinforce knowledge and understanding of key vocabulary. 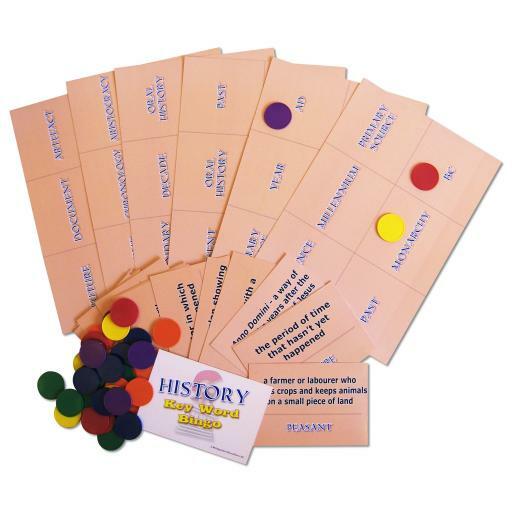 This double-sided bingo game consists of 6 base boards showing 20 basic history key words, and definitions of other key words on the reverse. The calling cards show the words and their definitions, so teachers can decide which version of the game to play � both versions require pupils to recognise and understand the terms to have a chance of winning the game. 36 counters included.